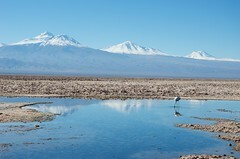 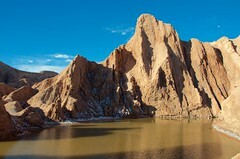 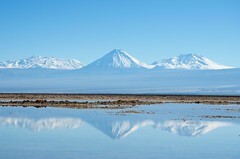 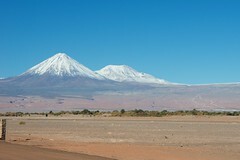 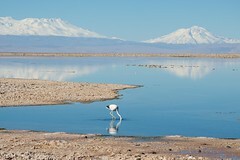 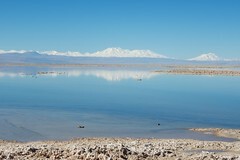 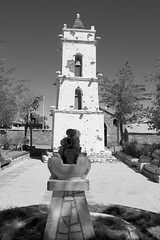 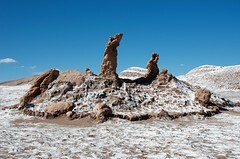 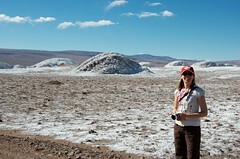 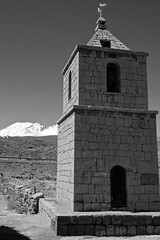 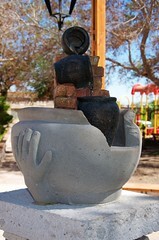 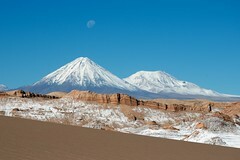 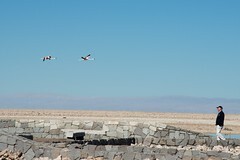 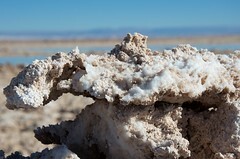 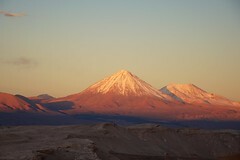 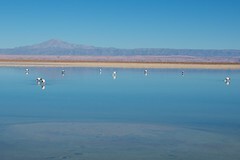 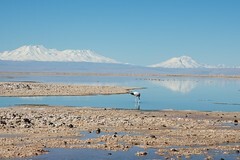 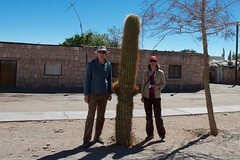 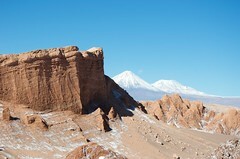 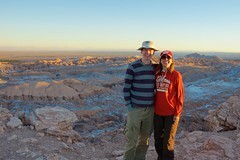 Photographs from our second day trip in the beautiful Atacama Desert. 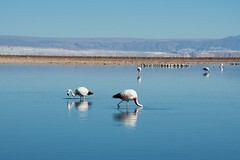 This time we were saw flamingos, and learned that they get their distinctive pink colour from the algae they eat from foraging on the waterbed. 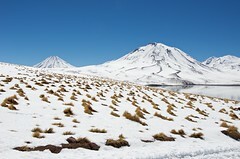 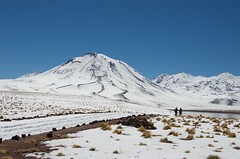 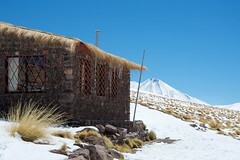 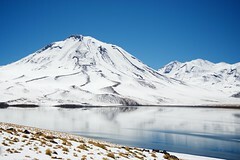 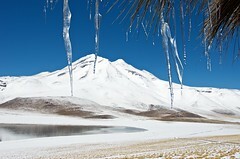 After that our bus took us to 4120m above sea level to see a volcanic lake, spectacularly framed by snow and volcanoes. 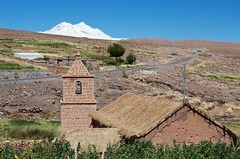 Our final two stops were in the pretty Andean villages of Socaire and Toconao, to sample some traditional local food. 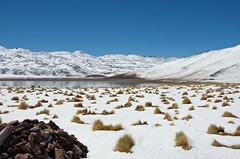 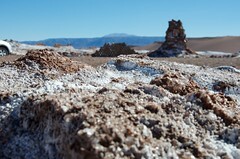 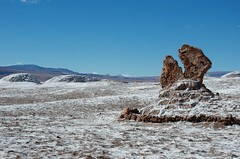 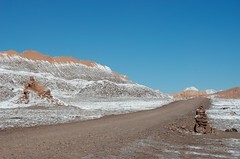 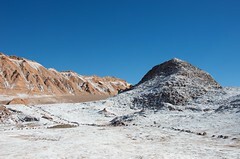 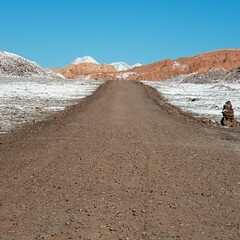 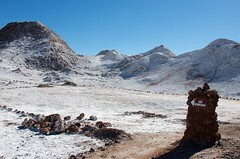 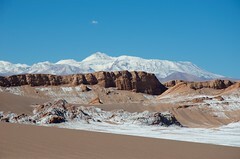 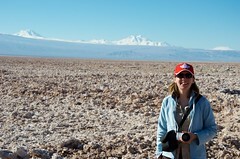 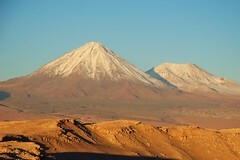 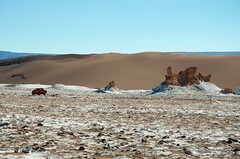 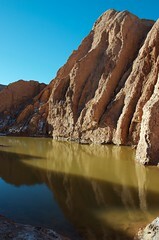 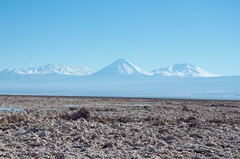 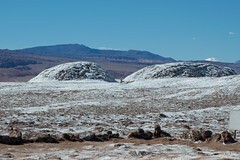 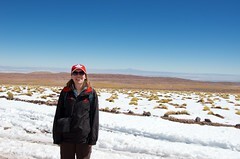 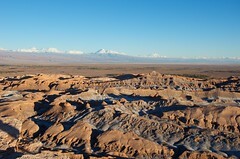 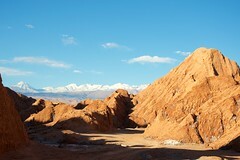 The Atacama Desert had some out of this world scenery so this is the first of several albums of photographs. 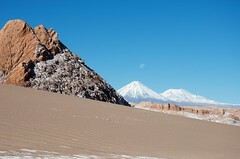 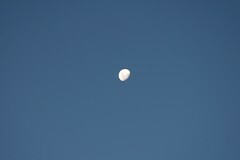 The name “Moon Valley” comes from the salt glaze left behind by evaporating water, but we were also treated to an almost-full moon hanging majestically above the surrounding volcanoes.